Throughout it’s history, Hirshfield’s Paint Manufacturing has been committed to delivering quality products that have been formulated with the selection of raw materials that are safe for the environment, safe for our customers, and safe for our employees. Being environmental stewards has always been important to Hirshfield’s operational objectives. The compiled listing demonstrates our company’s commitment to our products being green. Our facility operates a closed loop reprocessed water system. All wash water used in our clean-up process and in the purging of our manufacturing equipment is re-used. Our facility is designated and in compliance with being a very small quantity generator of hazardous waste (solvents). HPM is committed to a program where less than 200 gallons of waste solvent is generated annually. Recycling of all cardboard and paper products generated in manufacturing process. Refitting of facility lighting system that conserves 76,000 kwh of power annually. 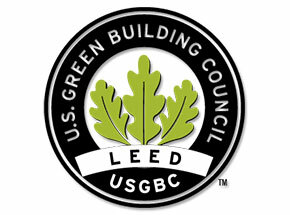 Accreditation of green products through membership in the United States Green Building Council. Collection of all dust-like particles generated in manufacturing process with dust collectors. Recycle of all filtered dust particle, preventing airborne contaminant from entering into the environment. Conversion of all forklifts used with manufacturing facility to battery packs, eliminating all trucks which ran on fossil fuels. 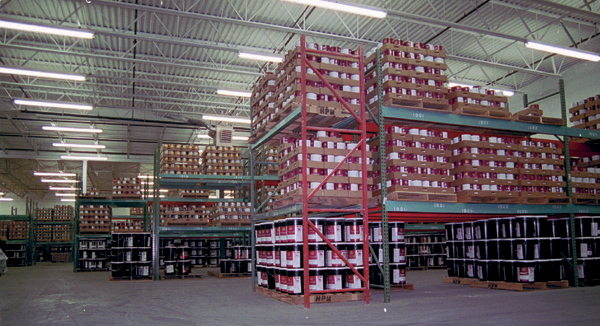 Utilization of non-toxic raw materials throughout all of Hirshfield’s Paint Manufacturing’s formulation base. As examples, Hirshfield’s avoids using carcinogenic chemicals such as crystalline silica, and Ethylene Glycols, and of course our products have always been free of lead. Hirshfield’s products contain much safer raw material alternatives for the environment and for the consumer. We partnered with iDEAL ENERGIES, a Minneapolis commercial solar developer, and have installed a 20kW solar energy array, utilizing Xcel Energy’s “Solar Rewards” rebate incentive program. The program provides financial incentives to businesses that utilize solar panels that will help offset its energy consumption with clean, reliable, renewable energy. We manage a container return program. We recycle totes and drums. For additional environmental preservation please look for our Hirshfield’s “Green Choice” products. The U.S. Green Building Council (USGBC) is a 501(c)(3) non-profit organization that certifies sustainable businesses, homes, hospitals, schools, and neighborhoods. 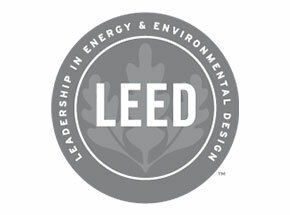 USGBC is dedicated to expanding green building practices and education, and its LEED® (Leadership in Energy and Environmental Design) Green Building Rating System™. GREENGUARD Environmental Institute (GEI) is an industry-independent, non-profit organization that oversees the GREENGUARD Certification Program. The GREENGUARD Certification Program is a third-party testing program for low-emitting products and materials. The first GREENGUARD Certification was awarded in the fall of 2002. In 2005, GEI announced the GREENGUARD Children & Schools standard, which evaluates the sensitive nature of school populations combined with the unique building characteristics found in schools, and presents the most rigorous product emissions criteria to date. 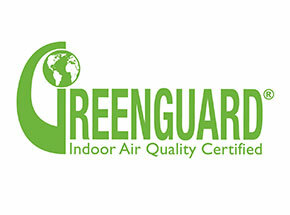 To date,more than 100 manufacturers across various industries offer GREENGUARD Indoor Air Quality Certified® Products. A green home incorporates smart design, technology, construction and maintenance elements to significantly lessen the negative impact of the home on the environment and improve the health of the people who live inside. No matter your location or living situation, the opportunities for living a greener life at home are limited only by your imagination. Minnesota GreenStar is a Green building standard and certification program for both existing and new homes that promotes healthy, durable, high performance homes.